4 Bedroom Semi Detached House For Sale in Hailsham for Guide Price £260,000. A fantastic opportunity to acquire a classic villa style 3/4 bedroom semi-detached property with scope for development. 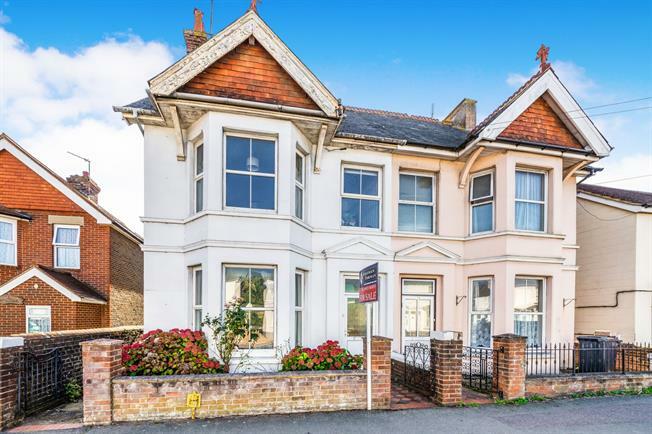 With potential to add a spacious master suite & bathroom in the roof (subject to planning consent) this 3/4 bedroom well proportioned Victorian property could make an excellent family home or rental investment. The ground floor comprises of a bay window fronted lounge, spacious dining room with French doors to the garden and a large kitchen/diner also benefitting from access to a patio area via French doors. The first floor has a large third bedroom to the rear, bathroom with hand basin and w/c, second bedroom (also a double) and a large front master bedroom adjacent to a suitable study/dressing room/baby room. Outside there is a good sized garden laid to lawn with patio area and pergola. The property is well situated in close proximity to high street amenities, public transport and a range of local schools.